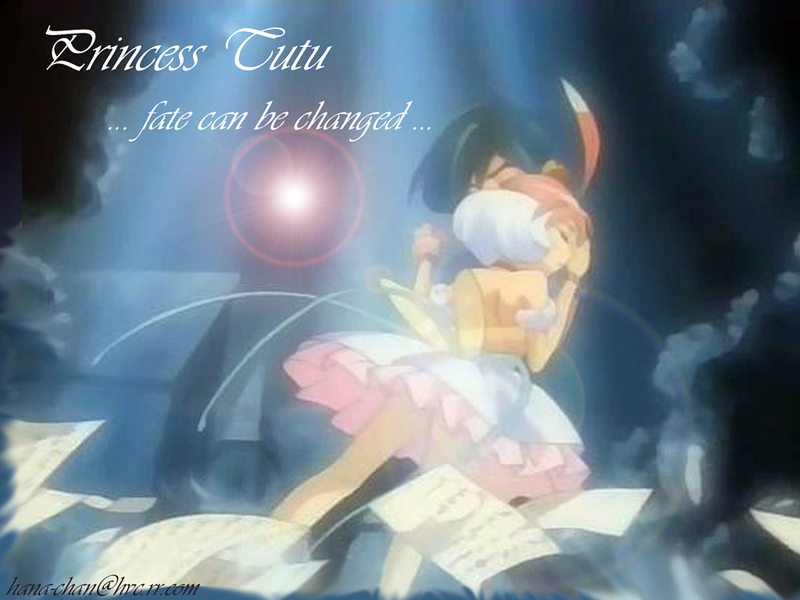 Princess Tutu Wallpaper: Fate can be changed! Minitokyo »	Princess Tutu Wallpapers » Princess Tutu Wallpaper: Fate can be changed! Came straight from one of the later episodes... like 20ish... added some lighting, croping, blurring- a little of this a little of that! Browse Princess Tutu Gallery: Recent | Popular. yeah, I agree with kaylamew here. I think that you should try to make the main image of this wallpaper a little bit clearer. But everything else here is great. Great Job also!! I kind of like the fact that it's not perfectly clear. I like how it's all sort of blendy looking.